This recording presents a stunning sampler of the richly varied, romantic tangos written for solo piano during the early years of the twentieth century. 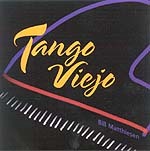 Tango Viejo means "old tango." 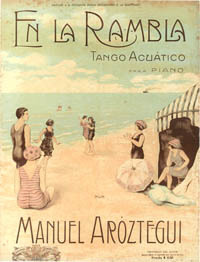 Dating from 1880 to 1920, these early piano tangos are truly a forgotten part of the Argentine soul. During this period the composers of the guardia vieja, or "old guard," experimented with the tango's form and style. Their piano arrangements capture not only the flavor of that era, but also document the evolution of this beautiful music. 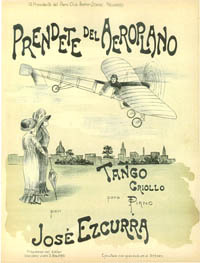 reproductions from original partituras (sheet music) of 42 original piano tangos from the guardia vieja, all from Bill Matthiesen's sheet music collection. View sample pages from the book. 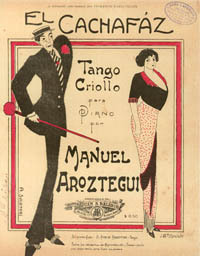 View more sheet music covers from Bill Matthiesen's extensive collection of early tango music. For background on the guardia vieja tangos on the CD, read Bill's notes on the history of tango from the Introduction to Argentinean Tangos for Keyboard.